What is Group Vocational Service Exchange? Group Vocational Service Exchange evolved from District 7390’s involvement in The Rotary Foundation Group Study Exchange (GSE). It includes many of the same elements but places an emphasis on importance of the vocational interaction and provides opportunity for the team to participate in service projects. A four-week program for a team of young professionals to exchange visits with a paired country. There is an outbound team and an inbound team. A once-in-a-lifetime journey involving vocational activities, cultural experiences, service experiences and fellowship opportunities. Since 1973, D7390 has participated in The Rotary Foundation Group Study Exchange. The Program provides a unique cultural and vocational exchange opportunity for young business and professional men and women to observe their own vocations as practiced abroad, develop personal and professional relationships, and develop international understanding and good will. Participants return home with a broadened cultural perspective and a new understanding of a nation’s history, language, commerce, and government. A GSE offers a unique opportunity to develop leadership skills, work on team building, and increase self-confidence. Additionally, D7390 places emphases on the importance of the vocational interaction and provides opportunity for the team to participate in service projects. As a result, within our District, the name of the program was changed to Group Vocational Service Exchange. I thought Rotary ended GSE? Rotary International (RI) stopped providing grants for the GSE program in 2013. However, it is still a recognized RI program and Rotarians around the globe still participate with alternative funding. Why participate in a Group Vocational Service Exchange? 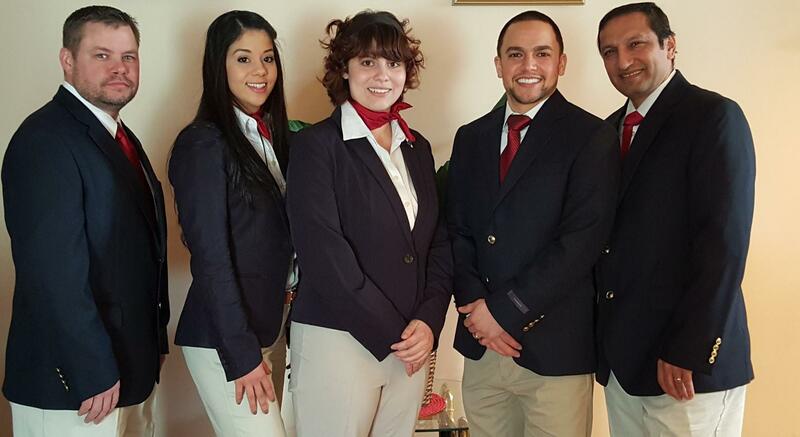 A Group Vocational Service Exchange offers the most unique and rewarding skill-building opportunity and personal growth experience available to young professionals as humanity steps forward to face the challenges of the 21st century. Individuals who participate will return home, not only with new perspectives and an enlarged vision, but also with valuable fresh ideas and an understanding of a nation’s culture, commerce and government. During the rigorous travel, team members will experience spectacular and unique cultural tours, along with individualized vocational visits. Vocational visits include opportunities to observe, to share your thoughts, and to learn new best practices with peer professionals from the visited country. This is truly a once in a lifetime opportunity. There is an experiential benefit to the local Rotarians to build goodwill and better friendships with visitors from another country through social and vocational interactions. District 7390 has experienced a 42% retention rate of the participants joining Clubs in District 7390. Our District offers a wide variety of vocational and cultural activities for your team’s participation. Located within driving distance to many major U.S. cities, including New York City, Washington D.C. and Philadelphia, Central Pennsylvania boasts a high quality of life. Our District is home to our state capital, Harrisburg, as well as major tourist attractions such as HersheyPark. We’re also proud of our innovative companies, such as motorcycle manufacturer Harley-Davidson and live-entertainment production company Rock Lititz, but we haven’t forgotten our industrial and agricultural heritage. Your team will experience cultural activities, a visit to Philadelphia, the birthplace of America, and have opportunities to take part in outdoor recreation. Learn more about our region here. What is involved in a GSE trip? For 3-4 weeks, team members experience the host country’s culture and institutions, observe how their vocations are practiced abroad, develop personal and professional relationships, and exchange ideas. In a typical 4-week tour, team members participate in vocational visits, club presentations, formal visits and social events, attendance at your District Conference, cultural and site tours, and free time with host families. 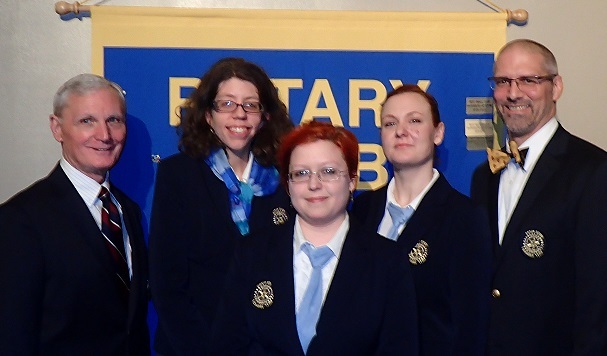 What do Rotarians interested in exchanging with District 7390 need to do? First, talk with your District Governor to gauge interest and garner support. The biggest monetary expense is travel for the team. This can be provided solely by your district, by the team member, or shared by both. The next steps are to plan and coordinate with District 7390 to find your team to send and plan for our team to visit. District 7390 has been participating in GSE since 1973 and will assist your Rotarians in the planning and preparation required to create a successful GSE experience for everyone. Interested in partnering with Rotary District 7390?